Concrete flatwork, which refers to any concrete work along a horizontal plane, has numerous benefits can help to boost the overall value of your property. To learn all the basics you need to know about concrete flatwork , read on. Concrete flatwork refers to any concrete work along a horizontal plane on your property. Floors, patios, sidewalks, and concrete stairs are all included under the umbrella of concrete flatwork. Substantially less pricey than stone or brick mason work, concrete flatwork is a favorite for installation among property owners. With increasing design options available, concrete flatwork is a wonderful option for garages, basements, walkways, driveways, steps, and patios. Well-done flatwork with the right finish and design can better the value of your home. Concrete flatwork is incredibly durable and can last up to 30 years without the need for repair work or new pouring of concrete mix. Brick, stone, and woodwork just don’t wear as well, and they require much more regular maintenance on the part of the property owner. With excellent durability, concrete is ideal for driveways or garages. Without the need to worry about weeds creeping through stone or rocks, concrete is also excellent for patios and sidewalks. High-quality concrete flatwork installation increases the value of your home by bettering its curb appeal. Poor driveways, sidewalks, and steps are aspects people notice immediately when looking at your home. If you’re looking to sell your home or simply invest more to increase the property value of your home, poor driveways, steps, and sidewalks must be taken care of. 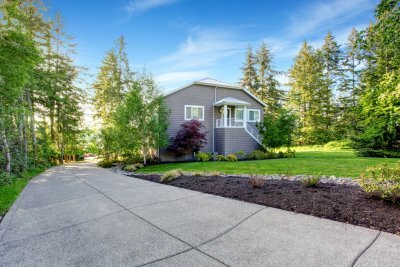 With so many design and finishing options available today, concrete flatwork can be a very appealing solution for any homeowner, regardless of aesthetic preferences. If you’re serious about creating a beautiful concrete flatwork surface, the quality and expertise of the contractor you’re working with matters. Great detail goes into the mixing of aggregates properly with quick delivery to cure best. Premium concrete flatwork can be finished in a variety of ways, so it’s important to work with a highly experienced company to take advantage of all the options available to you. 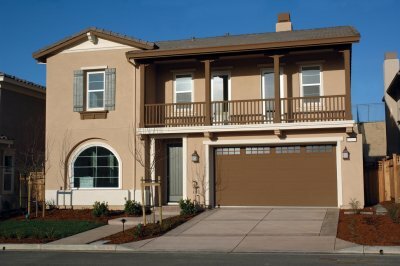 Brush-textured concrete is a beautiful option for work done on the exterior of your home or property. Concrete stains or dyes allow for endless customization options as well. With over 30 years of experience in the field, MitchCo Foundation Repair has the expertise you need to ensure that your concrete flatwork is restored and maintained optimally. Investing in your concrete flatwork enhances the beauty and improves the value of your home. Contact us today to learn about the high-quality services available to you that will best meet your needs.